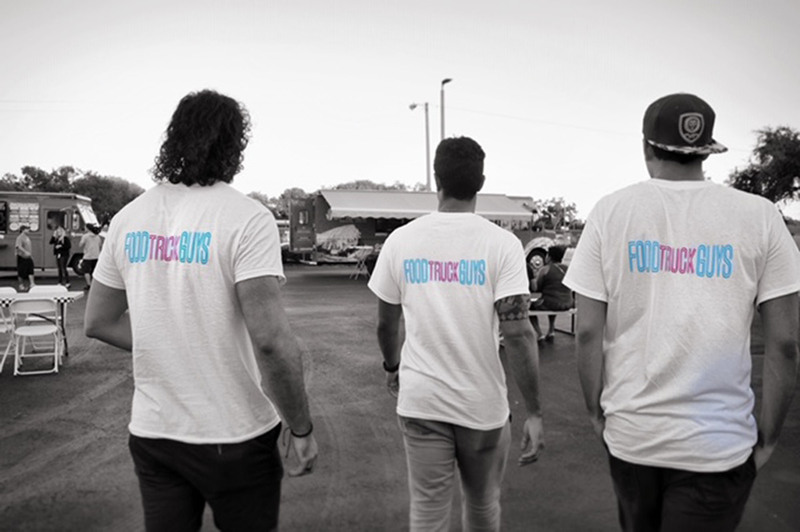 We started the Food Truck Guys for one reason: to bring food trucks out of the shadows and into the spotlight. We then asked ourselves many questions on how exactly we were going to do that and what type of content we wanted to create. After a lot of thinking we came to a couple conclusions. Share the amazing stories behind how food trucks are made and the amazing people that run them. We are here to highlight the customer experience and the food truck's amazing food! We will drive the food truck movement with the help of everyone like yourself. So right about now, you may be asking yourself, "what are you guys going to do to power this so called “Food Truck Movement?” Well, that easy! We are reaching out to food trucks and learning their different journeys to share them with you through social media outlets. We have launched a blog/vlog where these special stories will live in order for our readers to learn more about their favorite food trucks. We want you to take the content we create and power this movement by sharing and interacting with the community. We want people to SAVOR the different foods, businesses and share their own experiences during this food truck truck movement. Subscribe to our new food truck newsletter. Where we will share everything new with the food truck movement.